The family of the wife of Thailand's Crown Prince have been stripped of an honorific title, police confirmed Monday, after three of her relatives were caught up in a high-profile corruption scandal. Crown Prince Vajiralongkorn has asked the country's junta to forbid anyone from using the surname "Akkharapongpricha" in a letter widely circulated over the weekend on social media. Three people with the surname -- an honorific given to relatives of Princess Srirasmi following her marriage to the Crown Prince -- were arrested last week on graft charges as part of a widening investigation into an allegedly corrupt cabal of senior police officers. "It is the royal last name given to the cousins and siblings (of the princess)", national police spokesman Lieutenant General Prawut Thavornsiri told AFP, adding that 19 people have now been arrested in the widening probe. "There was a document spread on social media. We checked and it is true that they have been stripped of their royally given surname." 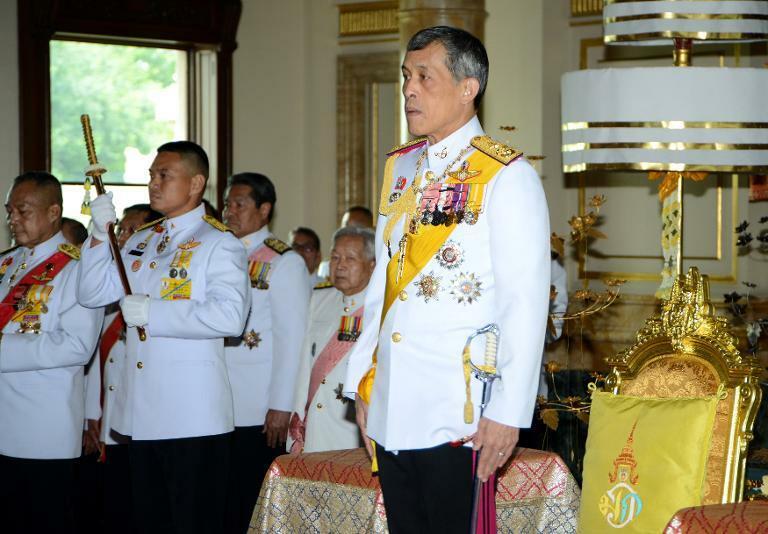 The Bangkok Post and other media reported that the three men worked within the palace. Princess Srirasmi married the Crown Prince in 2001 and was most recently seen in public last week accompanying her husband at a royal ceremony. The couple have a son who is thought to be Vajiralongkorn's most likely heir. Rumours had been circling within Thai society for days that some of those arrested in the police corruption scandal were related to the Crown Prince's second wife. But the letter from Crown Prince Vajiralongkorn was the first time an explicit connection had been made to people with links to the palace. Thailand's monarchy is protected by strict lese majeste laws. Both local and international media must heavily self-censor when covering the country's royal family. Under section 112 of Thailand's criminal code anyone convicted of defaming, insulting or threatening the king, queen, heir or regent faces between three and 15 years in prison on each count. Even repeating details of the charges could mean breaking the law. The police corruption scandal exploded last week when three senior officers -- including the head of the elite Central Investigation Bureau -- were arrested on a string of bribery charges. Unusually, some of those detained were also charged for defaming the monarchy, with police saying they had made "false claims" about a royal to justify committing crimes that allegedly ranged from running illegal casinos to oil smuggling, kidnapping and extortion.